If you have any narrow spaces in your kitchen that aren’t being lived up to their full potential, consider a DIY pull-out cabinet that will keep your kitchen essentials convenient without taking much space! 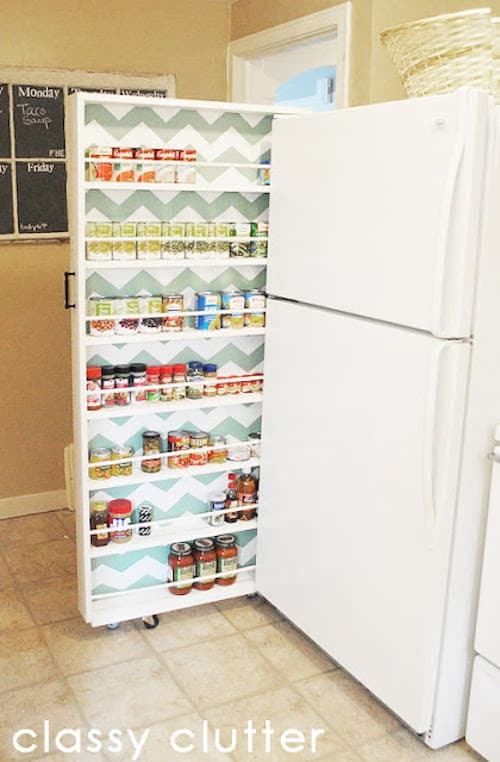 Look at how many cans, jars, and spices this one holds– almost an entire pantry’s worth! 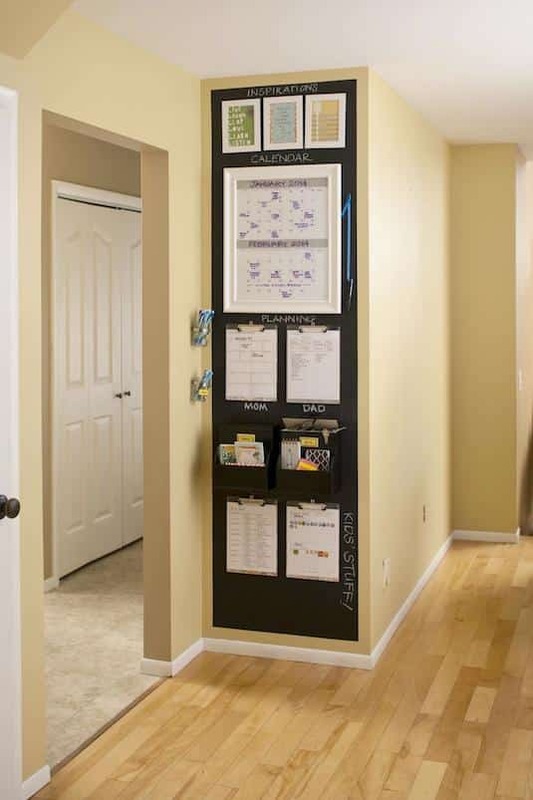 Having a centralized spot in the home where everyone can go to check the calendar, see what’s for dinner, or make notes is a great way for a family to stay organized. It really doesn’t require a lot of space either, that’s all you need is a small wall or corner of the home. I love the way this command center was done by Jenna Burger over at BHG.